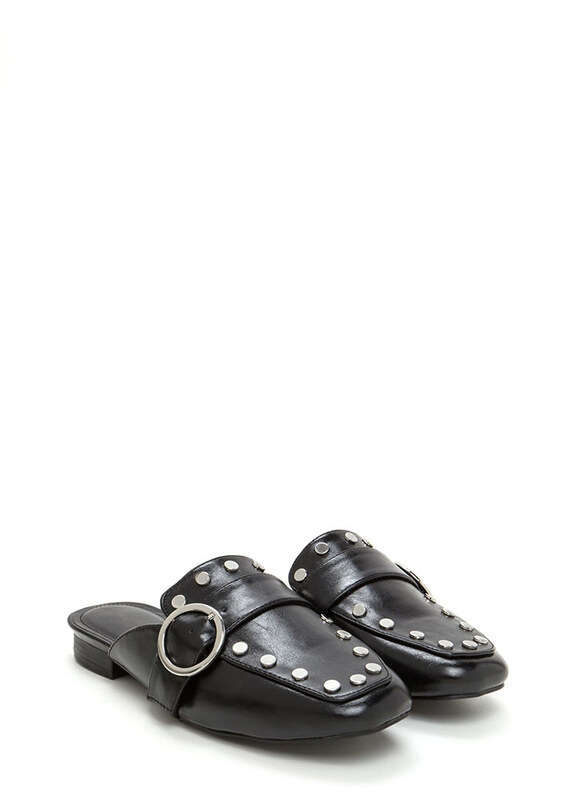 Slide your tootsies into these eye-catching mules for an ultra chic finish! 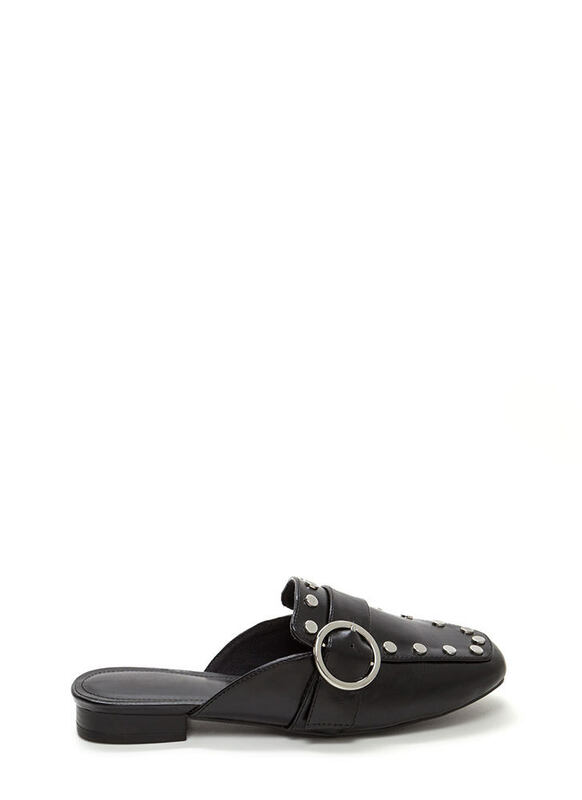 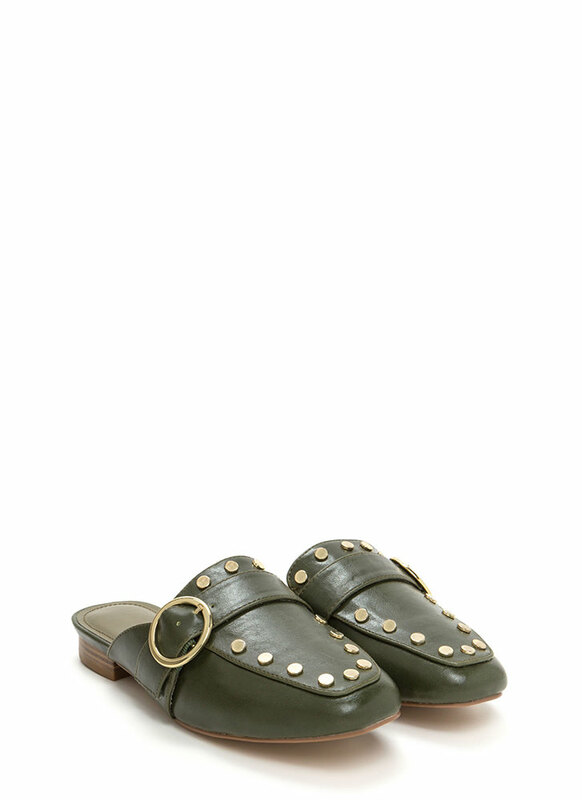 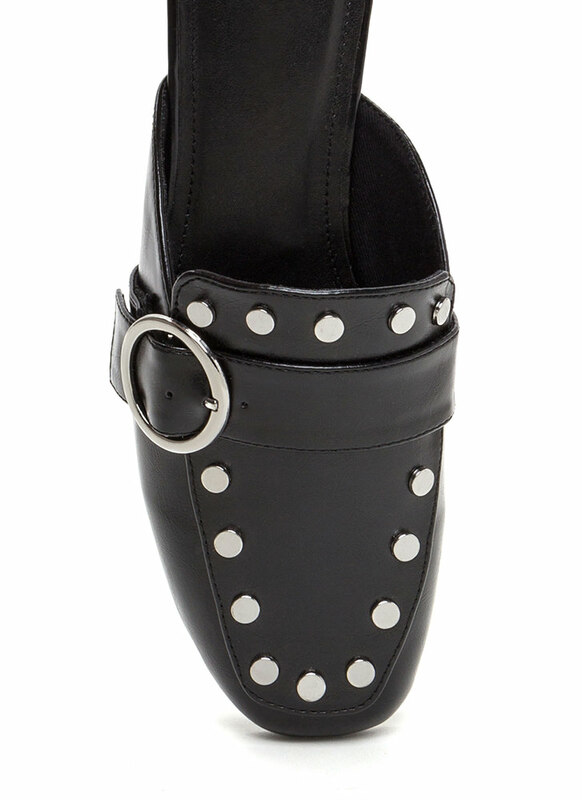 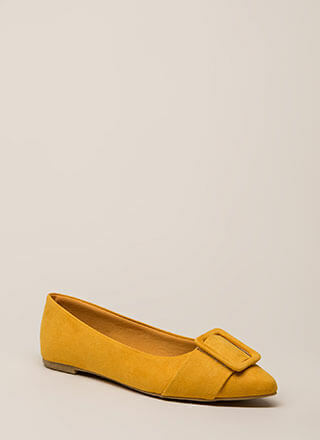 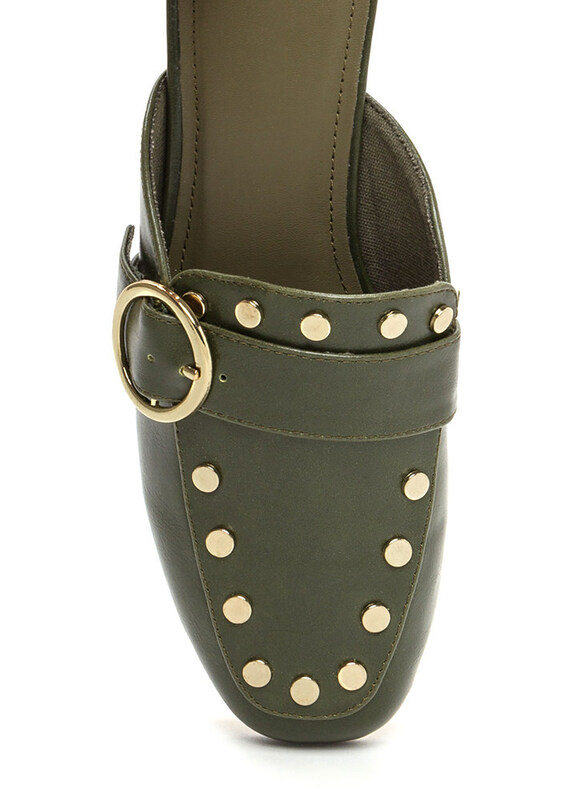 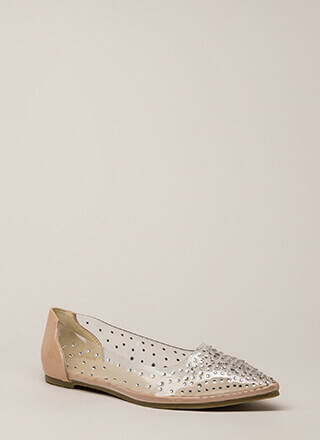 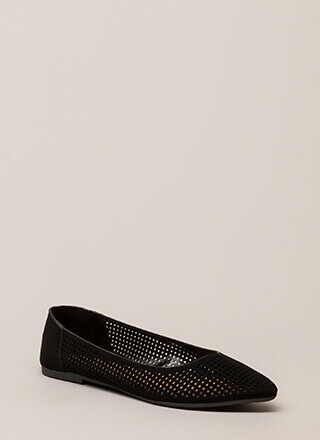 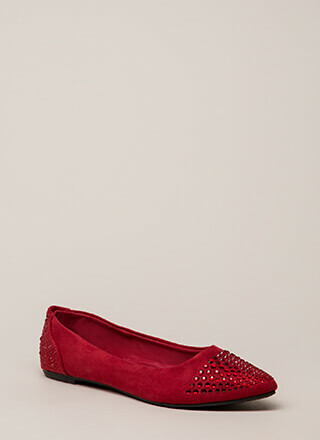 Slip-on mule flats feature a vegan leather upper with a tapered square toe box, a buckled accent strap, and studded trim. 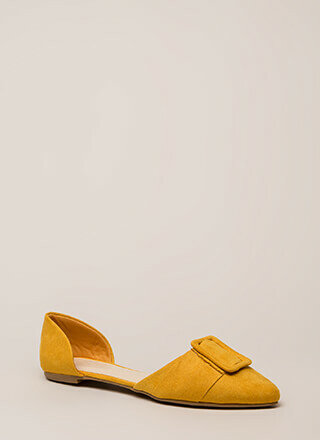 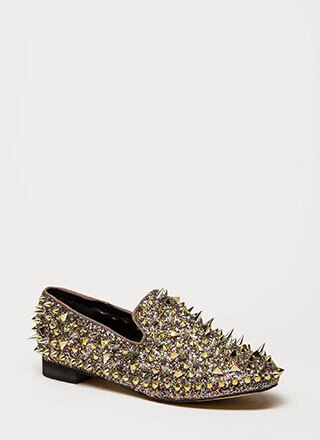 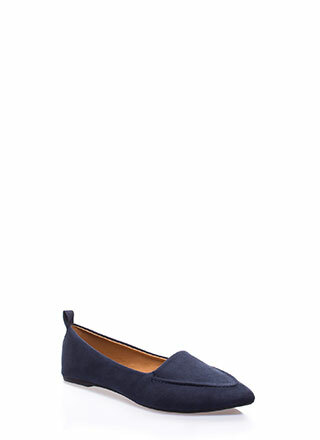 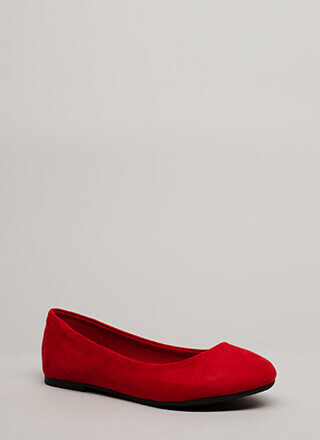 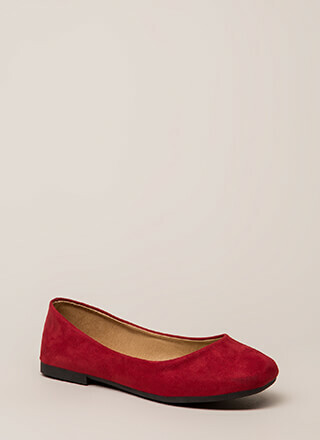 Loafer-inspired mules are finished with a low heel and a ridged sole.